Look, I respect the living hell out of The Verge’s Lauren Goode. She is one of the best tech journalists out there today. If you’re not following her and reading her stuff, you’re doing yourself a real discredit. If it sounds like I’m just buttering her up to bring everything crashing down, that’s because I pretty much am. I didn't want to write a rebuttal of someone I respect or revisit this topic, but I thought this was incredibly one-sided. Lauren wrote a piece and filed an associated video for the verge called Is it worth living the dongle life for the new MacBook Pro and iPhone 7? for the Verge. 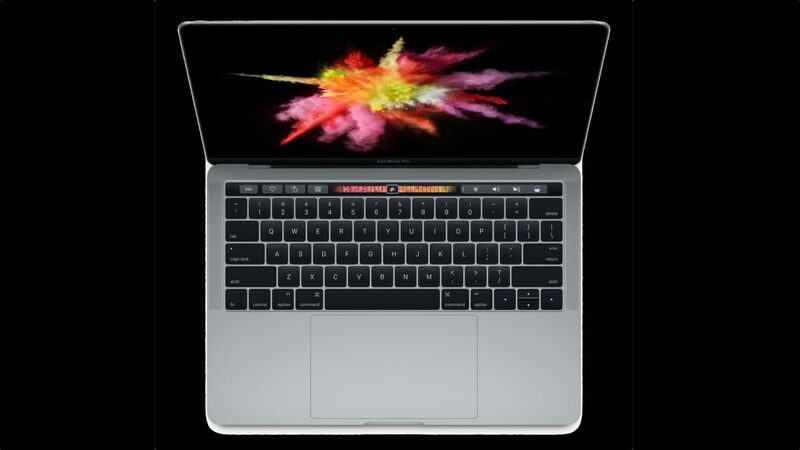 The article takes a rather extreme angle, showing the worst case of the new Thunderbolt/ USB-C MacBook Pro without exploring other options. Despite what a lot of people are saying and writing, there are other options. We’ll now go over what other options could have been taken. In each Exhibit section in the video, there is a Black shirt wearing Lauren with a 2016 MacBook Pro debating a flannel wearing version with a 2011 MacBook Pro. This was the last version with an optical drive, Firewire, and a traditional 2.5” form factor hard drive. The 2016 Lauren is surrounded by an army of various adapters and the new headphone-less iPhone 7. 2016 Lauren is looking to charge her phone. She picks through a myriad of mini-hubs and Lightning to USB-A adapters. Not present in any form is the simplest solution: Lightning to USB-C. Apple offers them in 1m and 2m lengths for $19 and $29 respectively. You can expect that go down as third-party MFI versions hit store shelves. You can bet they are coming fast now that there’s a market for them. The fact ignored here is that USB-C IS USB, not some abnormal Apple variant. You don’t need an adapter, you need a cable. In Exhibit B, the Laurens are trying to listen to music. 2011 Lauren simply places her 3.5mm headphones into the jack on her older smartphone while 2016 Lauren looks for Lightning splitter adapter and Lightning to 3.5mm adapter. This is a clunky solution, but there are other options. I’ve never run into it. Why? Because I am extremely happy with a pair of an affordable pair of bluetooth earphones that I bought earlier this year. I press the power button, they automatically pair and I listen to my music. No adapter or even cable required. I have yet to use either the included Lightning EarPods or the adapter. By the announcement of the Ear Pods and three different sets of wireless beats, this is what Apple intended. Exhibit C is 2-point. 2016 Lauren is looking for a wait to put her pictures from her camera on her computer. Of course the only way is the SD-reader right? Nope, there are also more options here. First, you can directly hook up the camera to the MacBook Pro. In many ways, this faster than digging out the SD card. You would need a USB-C to USB A adapter as many cameras use a proprietary form of miniature USB-B, but those are available in leading retail stores for under $10. You could also purchase an external reader, but what if you didn’t even need a cable at all? Most cameras of the last couple years include wireless capability built-in. The other part of the Exhibit was transferring photos from a Thunderbolt hard drive to your Thunderbolt 3 Mac. If you have a Thunderbolt Drive, you will need the Thunderbolt to Thunderbolt 3 adapter. However, let’s be honest here, the Thunderbolt hard drives are very rare. Pretty much everybody, Mac users included, have USB 2.0 or 3.0 for single drive units. These will need either the afore mentioned C to A adaptor or a Mini/Micro-B to C cable. You can get those on Monoprice easily and cheaply. Exhibit D is kind of a rehash of part of Exhibit B. 2016 Lauren receives a phone call and fumbles around with adapters while she misses the call. Oh please. I am either wearing the aforementioned bluetooth headphones or simple just pick up the iPhone and answer the call. 2011 Lauren asks 2016 Lauren how much all of it cost. If you would have all the adapters Lauren has in front of her, its not cheap. However, you don’t need all of those adapters. There are other, more cost effective and many cases better solutions out there. Let’s say that 2011 Lauren wants to to charge her phone, her smart watch, plug in a mouse, plug in a hard drive, she couldn’t do it all. Why? Because that MacBook only has 2 USB ports. You need a USB Hub, a type of adapter to plug all devices in. Ironically with 4 ports that could be used for USB, in a couple ways, the 2016 model is more flexible. The 2016 MacBook wasn’t designed to place undue hardship people. It realizes the change in how people use our computers. I survived the change form ADB, serial, and SCSI to USB and FireWire. I survived FireWire to Lightning. I survived like half a million different ways to connect a computer to a display. You will too.